Despite recent diesel issues, the BMW X5 xDrive 35d remains our top pick for its balance of power and fuel economy. The benchmark of mid-size luxury SUVs, the 2016 BMW X5 offers handsome looks, a choice of powertrains, an abundance of tech features, sporty on-road dynamics, and even some off-road capability. The 2016 BMW X5 is still a high-water mark in the luxury mid-size crossover class. It has superb on-road handling, but a strong measure of off-road capability. Built in South Carolina, the X5 is engineered in Germany. The X5 is more gracefully sculpted than its predecessors. The resemblance to the X3 is strong, from the low beltline to the tapered roof, more sport wagon than sport-utility vehicle. The cabin bulges with a broad sweep of dash framed by standard black synthetic leather and wood trim, but BMW livens it up with a wide variety of trim choices. With seats for as many as seven passengers, the X5 could do a little better in comfort. The front seats feel a bit flat. The back seats do too, but they split along 40/20/40 seams and fold down to boost cargo space, plus they recline for long-distance trips. The available third-row seat is for kids only; it'll spend most of its time folded away under Costco boxes. The two-piece tailgate opens via the keyfob, with the glass tilting up and the lower panel dropping down. With rivals like the VW Touareg, Mercedes GLE and Jeep Grand Cherokee, the X5 has to offer a range of drivetrains. 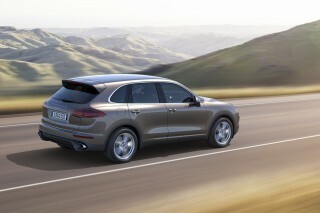 Diesel power is available, as are V-8 thrust and a new plug-in hybrid. The available all-wheel-drive unit provides moderate off-road capability, and BMW muddlesd the SUV roots in extravagant adaptive suspension setups that make it palatable in everyday driving. BMW fits its 300-hp turbo inline-6 to the standard X5, and it's good for 60-mph runs of 6.1 seconds. The xDrive50i sports a twin-turbo V-8 and drops 60-mph times to 4.7 seconds. A diesel can hit 60 mph in 6.7 seconds, and its around-town torque and fuel economy make up for the slightly slower acceleration. Even the plug-in hybrid is quick--and feels reasonably quick in its all-electric mode. BMW says it can reach 60 mph in 6.5 seconds, with both power sources together; and if you drive gingerly enough it can reach the EPA-rated pure-electric range of 14 miles. All X5s have variable-ratio electric steering and a driver-selectable set of modes that changes throttle, shifts, steering weight and suspension feel, from economy to sport modes. Dial the system to Sport or Sport+ mode, and the vaunted BMW driving feel sets in. The steering takes a hefty set, the body roll flattens out. The steering doesn't have much feedback at all, and an optional anti-roll system counteracts the usual lean in corners, which can leave drivers guessing as to how much grip they have left. With a base price of almost $55,000,, the BMW X5 still is missing some features on its standard equipment list, including leather and a rearview camera. Most models come with navigation and an iDrive interface with a touch-sensitive puck controller. With all-wheel drive, prices start at more than $57,000. 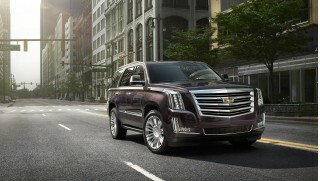 Up in the $70,000 range, V-8 X5s get rich leather, premium audio, and a rear-seat DVD entertainment system. The turbodiesel five-seat SUV is our pick, when it's equipped lightly with surround-view cameras and navigation. The 2016 BMW X5 carries over its stellar crash ratings from previous years. The 2016 model earned five stars from the NHTSA. Among the active-safety options are forward-collision warnings with emergency automatic braking, adaptive cruise control, night vision, automatic parking assist, blind-spot monitors, and surround-view cameras. Given the wide range of powertrains--inline-6 to V-8, to plug-in hybrid--the X5's fuel economy is predictably all over the map. The most efficient car is also the most expensive: the X5 xDrive40e manages 24 mpg combined and is rated at 56 MPGe (the average distance traveled on the equivalent of one gallon of gasoline). At the other end of the spectrum, the X5 xDrive50i is rated by the EPA at 15 mpg city, 21 highway, 17 combined. The X5 blends cues from SUVs and sport wagons on the outside and the inside features a richly textured horizontal layout. BMW designed the latest X5 to be more graceful than prior versions, while still preserving links to the smaller X3. 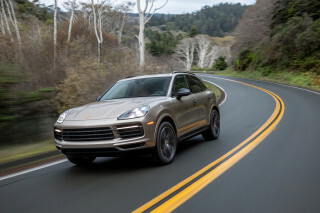 The relationship is clear, from the low nose to the tapered roofline that gives both SUVs less a utility-vehicle profile, something more like a sport wagon look. With its sculpted sides, the X5 drops some visual weight. It also directs air to its rear wheels. A deep shoulder line that spans from the front fenders to the LED taillights gives the shape a subtle wedge. At the front, it's more complex and fraught with lots of little lines, and a deep twin-nostril grille. A bit overwrought, the X5's nose gets LED headlights as an option. The cockpit won't be lost on any who's driven a recent BMW. The horizontal theme is strong, with controls canted toward the driver. Out of the box, the BMW X5 has black synthetic leather and poplar wood trim. BMW offers white Nappa leather with oak trim, or mocha leather and wood on some models, buttery-rich Dakota leather on others. Drivers can wend through more trim bundles. Luxury editions wear a little more brightwork, while xLine X5s have blackout trim and bright window trim. An M Sport model has grey trim, glossy roof rails, and upsized wheels. All X5s handle well, but the ride may be too firm for some. Power is also willing, but the turbodiesel is the wisest choice. The BMW X5 is a jack of all trades. 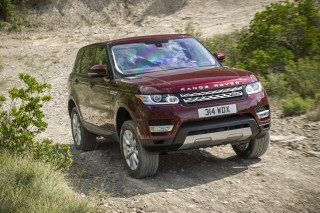 It's fluent on road, and can trundle on off-road paths with confidence. The base X5 sports a 300-hp, twin-turbo 3.0-liter inline-6 with 300 lb-ft of torque. 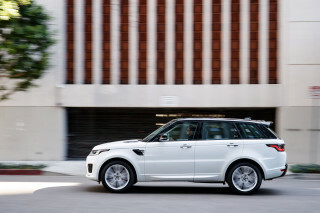 With rear- or all-wheel drive, it can hit 60 mph in 6.1 seconds, in part because peak torque flips on at 1,200 rpm. The diesel-powered X5 xDrive35d draws power from a 3.0-liter inline-6 turbodiesel with 255 hp and 413 lb-ft of torque. BMW pegs the 60-mph run at 6.7 seconds. In our diesel drive around Vancouver the turbodiesel's easy rhythm punches holes in traffic and relaxed into a quiet lope on freeways. It has the swift mid-range response of a good 6-cylinder, with a bit of diesel clatter thrown in. Top X5 xDrive50i utility vehicles sport a twin-turbo 4.4-liter V-8. It's good for 445 hp and 480 lb-ft of torque, with peak torque landing at 2,000 rpm. Sixty miles per hour can arrive in 4.7 seconds, but there's no dramatic rush to speed. The linear delivery of V-8 power and the launch capability of all-wheel drive and automatic dampers mute any lurching launch behavior, much as a lot of sound deadening mutes the X5's powertrain sounds. The plug-in hybrid version, badged the X5 xDrive 40e, features BMW's turbocharged 2.0-liter four-cylinder engine, an electric motor packaged within the 8-speed automatic transmission, and a 9.2-kwh lithium-ion battery pack that can be charged back up to full in less than three hours on Level 2 (240V). Total output is 308 hp and 332 lb-ft of torque, and BMW says it can accelerate from 0 to 60 mph in 6.5 seconds and drive on electricity alone for up to 14 miles. The behavior of the hybrid system--and how much the gasoline engine stays off--depends both on the settings you select and how you drive the X5. In the MAX eDrive setting, the X5 is powered only by electric power except if you floor the accelerator; in this mode, speed is limited to 75 mph. Otherwise there's an AUTO eDrive setting that allows the gasoline engine to come on more often and at a lower speed (of around 45 mph). In a driving experience of several hundred miles, we found the plug-in hybrid system to provide pleasant, quiet, and reasonably strong performance in its electric-only mode, combined with strong acceleration altogether. We noticed just a few rough shifts from the transmission under moderate acceleration; but overall, this is a system that's good for both off-roading and towing. With every powertrain, BMW fits a paddle-shifted 8-speed automatic. It can be turned to Sport mode, but in Eco Pro mode, the throttle slows, upshifts come earlier, and the X5 can coast by uncoupling the transmission from the drive axles. Every X5 has electric power steering. With it, Eco Pro cuts down on steering assist, which doesn't help with the X5's general lack of feedback in anything but Sport or Sport+ mode. In those, the steering feel gets some heft, but it doesn't unwind gently. 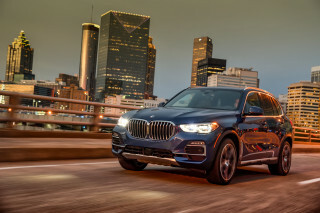 Add on BMW's variable-ratio steering, and the X5 feels less onerous at low speeds and more connected on the highway. The system wouldn't be our choice on a sportscar, but on a sport-utility vehicle it helps overcome some inherent dynamic trade-offs. Beneath the X5, struts and control arms form the suspension. Adaptive shocks and rear air springs can be fitted, and can be controlled by the driver along with the other driving systems through a range of modes. The constant sense of stability makes the dampers worth the upgrade price, with or without the self-leveling rear air springs. With the dampers, the X5 corners flat, giving up some absorbency in its ride but stopping short of harsh--at least until the biggest wheels and the stiffest suspension settings are in play. BMW's all-wheel drive system splits torque front to back, and interacts with the vehicle's traction, stability, and hill-descent control. If you intend to off-road the X5, BMW's xDrive system displays how power is split on a dash-mounted screen. Moderately challenging trails and lumps are no problem, somewhere in the Explorer/Touareg range, a few degrees removed from the Range Rover Sport realm. A trip to a semi-remote cabin in the woods? No problem. As a commuter vehicle, the X5 may never need exotic features like the Dynamic Performance Control system. It splits torque between the rear wheels for better cornering, but it's more critical for high-performance machines like the X5 M.
The X5's cabin is spacious, polished, and well-fitted, though the available third-row seat is just for kids. The X5 can accommodate up to 7 passengers, but only front- and second-row passengers will be comfortable. The front seats offer power and heating and lots of space and adjustment. BMW sells upgraded sport and multi-contour seat, and we'd take either; the basic seats have flat bottom cushions, and it's very noticeable on models with seat ventilation. Driver and passenger space divides with a wide center-split console that's deep enough for smartphone and small-tablet storage. The console has two lined bins for change and keyfobs. In the second row, BMW fits a split bench seat that folds along 40/20/40 sections. Five adults will fit, but four will be more pleasant after a crosstown trip. Headroom is compromised by the standard glass sunroof; 6-footers will need to recline the seatbacks. Optional comfort second-row seats can slide on a 3.1-inch track to expand leg room. A 23-cubic-foot cargo space sits behind the second-row seat. It's where the optional third-row seat goes when it's ordered, but we'd throw caution at that idea. The extra row of seats are only good for people that regularly wear Garanimals. The third-row seat can fold in portions, or fold down along with the second-row seat for 66 cubic feet of cargo space. The power tailgate still has its split operation: the glass flips up, while the tailgate folds down. Quality issues have been minor in the X5s we've driven. The standard seat coverings are synthetic leather and some switches feel inexpensive. BMW spends the money on a big, high-resolution screen and ambient lighting, and lets drivers pay into nicer degrees of leather and wood. The X5 offers a lot of standard and available safety gear, but crash test ratings are incomplete. Unfortunately, there isn't full crash-test information for the X5. The IIHS has only rated the X5 in the moderate front overlap and side crash tests, where it earned the top rating of "Good." The IIHS also gives the X5 a "Superior" rating front crash prevention, when optionally equipped, but since it hasn't been subjected to the other tests, it can't be named a Top Safety Pick+. The X5 has earned top marks from the NHTSA, including a five-star overall rating and five stars for front- and side-impact crash protection. The X5 was rated at four stars for rollover crash protection, but it's important to note that that test is a calculation, rather than a real-world crash. All X5 'utes get Bluetooth standard, but a rearview camera remains a stand-alone option on base SUVs. Basic roadside assistance comes with automatic emergency notifications and real-time traffic. Good outward vision in the X5 can be helped by standard parking sensors. We'd pay for the available surround-view cameras, which toggle between camera views and let drivers put the vehicle into very narrow parking spaces. The surround-view cameras come packaged with forward-collision warnings and blind-spot monitors, and adaptive cruise control can be added to the list. Automatic parking assistance is also available, as is a cruise control system that can stop and go by tracking the car in front of the X5 in heavy traffic. LED headlights, a head-up display, and night vision are options. 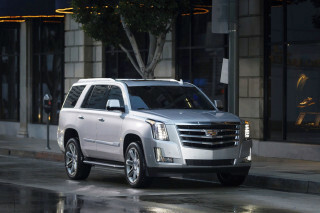 The base model is well equipped for about $55,000, but it's easy to top $70,000 with options or higher line models. 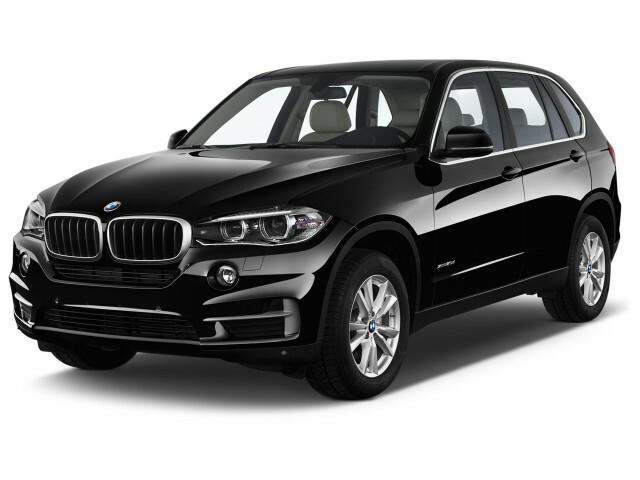 Starting near $55,000, the 2016 BMW X5 is priced in line with its luxury competitors. Some features should be standard, not optional, but BMW does go beyond the usual techno fare with some available features. All models come with power features; Bluetooth; an AM/FM/CD player with USB port; synthetic-leather upholstery; stop-start; power front heated seats; parking sensors; a panoramic moonroof; a power tailgate; 18-inch wheels with run-flat all-season tires; and a four-year/50,000-mile warranty with roadside service and free regular maintenance. A rearview camera is a $400 option; any color other than white or gray is a $550 additional cost; and leather upholstery costs $1,450 at minimum. Most would think these features would be standard given the price tag. If you want all-wheel drive, you'll need to step up into the X5 xDrive35i, which is priced from just over $57,000 and is equipped identically. The xDrive 35d offers similar equipment for $1,500 more in base price. These two all-wheel-drive models can be upgraded to the Dynamic Handling Package, with a rear air suspension and variable damper control, as well as active-roll stabilization. The X5 can be ordered in one of three trim lines, Luxury Line, xLine, and M Sport. Luxury Line and xLine packages bring more personalization, with coordinated interior trims that are a step more attention-getting. The xLine features satin aluminum and high-gloss finishes, while the Luxury Line gets blacked-out grille chrome strips and some sporty cues. The M Sport adds a body kit, Shadowline trim, high-gloss roof rails, sport seats, an anthracite headliner, and various other high-performance cues as well as an option for an M Adaptive suspension. 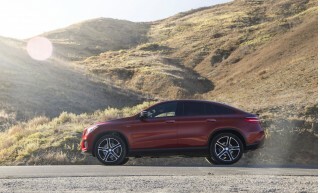 Then come the quick-pick packages: the third-row seat; a cold-weather package with heated rear seats and a heated steering wheel; a driver-assistance package with a rearview camera and a head-up display; a full LED lighting package; ventilated multi-contour front seats; blind-spot monitors, surround-view cameras, and speed-limit monitors; and a Premium package with keyless entry, soft-close doors, satellite radio, and leather upholstery. Stand-alone options include active steering (except on sDrive); the active air suspension; a Nappa-leather dashboard; four-zone climate control; adaptive cruise control with full-stop and following capability; parking assist; a Harman Kardon audio system or a Bang &amp; Olufsen setup; night vision; and a rear-seat entertainment system. Nineteen-inch wheels with all-season tires and 20-inch wheels with summer tires are also optional. There's also a rear-seat DVD entertainment system with twin screens roughly the size of an iPad Mini, attached to the headrests of the front seats. Those systems always beg the question for us: why not just invest in a pair of mobile tablets and an indestructible case? The X5 xDrive50i makes the rearview camera, metallic paints, 19-inch wheels, front ventilated seats, and leather upholstery standard. Its above-and-beyond options include most of the above, plus an Executive package with ceramic knobs and switches, Harman Kardon audio, head-up display, satellite radio, keyless entry, and side window shades. New for 2016 is the X5 xDrive40e model. It is priced at about $63,000 and comes with the base equipment plus adjustable damper control, the self-leveling rear air suspension, and the navigation system. BMW's iDrive infotainment controller is standard for all X5 models. It operates the available navigation system and other ancillary functions, and displays on a freestanding 10.2-inch screen. On the smartphone-connectivity front, the BMW Apps system is standard, with a little help from Apple's iTunes. Connecting to the infotainment system via the iTunes-available, iPhone-based app allows drivers to hear their Facebook and Twitter feed, listen to web-based audio streams, and to tap into apps like Pandora and Stitcher. They're woven into the iDrive controller, which has a puck-shaped dial for navigation through commands and settings, and a touchpad surface for entering text Palm Pilot-style. The combination of options of voice controls, dial entry or scratchpad writing, and steering-wheel controls can be overwhelming until you've spent hours upon hours at the controls. The gasoline models do fairly well on gas thanks to an 8-speed automatic transmission, but the turbodiesel is the clear choice for fuel economy. The X5 offers a range of powertrains, from a conventional gasoline inline-6 to a turbodiesel--and now even a plug-in hybrid. The base model, the rear-drive X5 sDrive35i, is rated at 18 mpg city, 25 highway, 21 combined, according to the EPA. The all-wheel-drive version, the xDrive35i, is rated at 18/24/20 mpg. The xDrive35d diesel is rated at an impressive 23/30/26 mpg. The V-8-powered xDrive50i model is fairly thirsty at 15/21/17 mpg. The new xDrive40e plug-in hybrid gets a 24 mpg combined rating when using only gasoline and a 56 MPGe rating, which accounts for electric and gasoline operation. The EPA says it is capable of driving 14 miles on an electric charge. (MPGe, or Miles Per Gallon Equivalent, is an EPA measure for the electric equivalent of one gallon of gasoline.) And over two full charges, we saw an actual 14.5 and 16 miles of all-electric driving, as well as 24 mpg overall, through 380 miles of mostly highway driving, including 30 miles of city driving. I purchased this new six days ago. The X5 M50D has a three stage turbocharger, equivilant to three turbochargers. The 0-62mph (0-100kph) time is 5.3 seconds. Mine is fitted with a few tasty options, including... I purchased this new six days ago. The X5 M50D has a three stage turbocharger, equivilant to three turbochargers. The 0-62mph (0-100kph) time is 5.3 seconds. I can hardly believe how fast this can go around corners. My previous car was a BMW i8, which has the lowest centre of gravity of any BMW, and the X5 seems (anecdotally) to be able to take corners at about the same pace. The straight line performance is also phenomenal for a car that weighs over 2200kg. The car is extremely comfortable. The headrests are like pillows. The seats are adjustable in every imagineable way. Porsche would probably charge $6000 for their equivalent seats (the top version of a slew of options), but in this X5 they were a no cost option and in lesser X5s, they would be half the price Porsche would demand. Even though they are called "comfort" not "sport" seats, they have pretty sizeable side bolsters which are electrically adjustable, so I would sugggest that no matter your leaning (sport/comfort) you get these - all bases are covered. This top spec engine is not available in the USA (to my knowledge). But it is, in Europe and where I live (New Zealand). If you want petrol V8 performance but fuel bills of half the size or less, you want the M50D. As for refinement, well I am not a big diesel fan -for this issue - but I will say I am quite happy with the refinement of this particular engine. We have traditionally only purchased Mercedes cars but the X5 beats the GLE/ML and won our business.